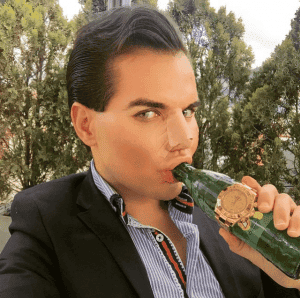 A COSMETIC surgery addict who lives in Marbella has insured his body for €1.1 million. 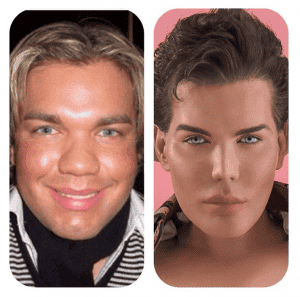 Air steward Rodrigo Alves, 32, has undergone 43 operations in a bid to look like Barbie’s Ken. Now he has insured his ‘look’ after a nose job ended in disaster in April. His sixth rhinoplasty, performed in Iran, took a nosedive when his septum collapsed upon arrival in Marbella. The Brazilian native had to fork out €47,000 to fix the botched job which had caused necrosis, a flesh-eating infection. He hopes insurance will prevent future mammoth bills. “I’ve spent nearly £350,000 on procedures over the past 11 years and I needed some insurance,” he said. “I pay a monthly premium and from now on, if anything goes wrong I can get it fixed. if I’d been covered it would have paid for my last operation. Rodrigo’s obsession with his looks developed from being severely bullied as a child. 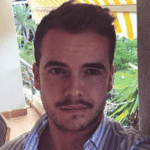 He was diagnosed with a hormone dysfunction, which meant he was unable to develop muscle. 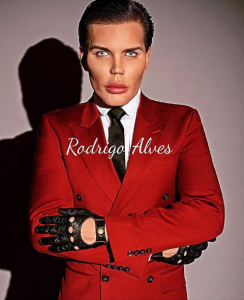 “I was physically bullied, boys would push me down the stairs,” said Rodrigo. In the past year alone, he has spent an incredible £95,000 on 20 surgeries, travelling to clinics from Iran to the United States. Looks like Barbie’s Ken has been sat a little close to the fire. what a freak..!!! !…a real freak…!!! How much does an air steward earn ? I didn’t think the salary would allow £95,000 a year to be spent on anything !! Maybe he works as a Ken-Alike on the side?